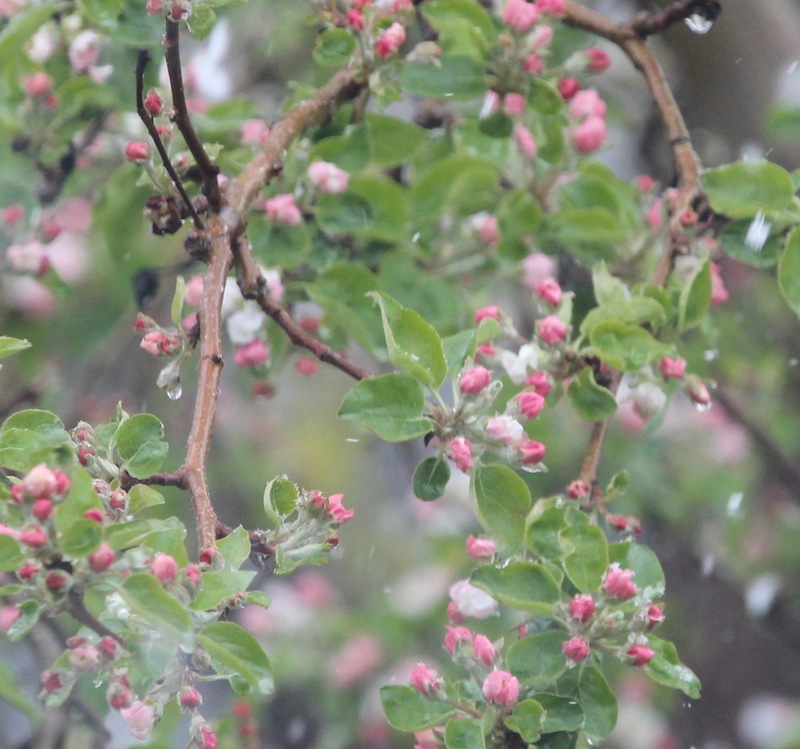 Heavy, wet snowflakes mix with apple blossoms on the first day of May in Saint Paul, MN. It was a good rain, light-to-steady over several hours, the kind that soaks deeply into the soil and awakens late-sleeping perennials in the spring. 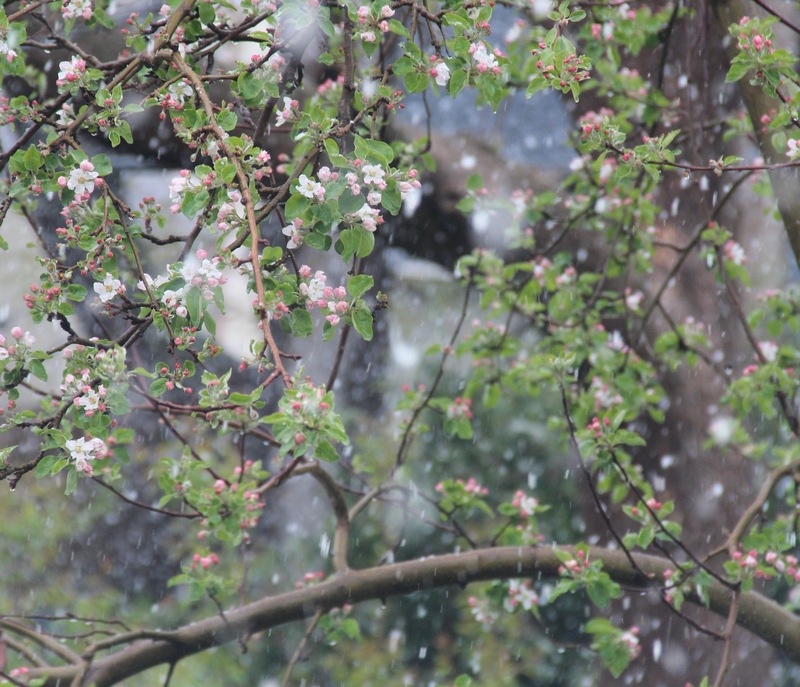 Mid-afternoon, though the calendar showed May 1st, big, heavy snowflakes fell like icy polka dots. The blend of apple blossoms and sloppy, wet snow was a sly reminder that, in spite of increasing warmth and longer days, winter is never truly far away from those who live in the north! The snow didn’t injure the blossoms of this more than 70-year-old Beacon apple tree, a hardy tree bred for Minnesota springs. This entry was posted in Backyard Nature, Saint Paul, MN, Snow, Spring, Trees, Weather and tagged Apple blossoms, Beacon apple, Spring snow. Bookmark the permalink. I always look forward to your writing and your posted photo. By the time I finish reading, I find myself smiling from the truth and beauty of your words… Thank you! Thank you, Jan, for your kind comments and for reading my blog!